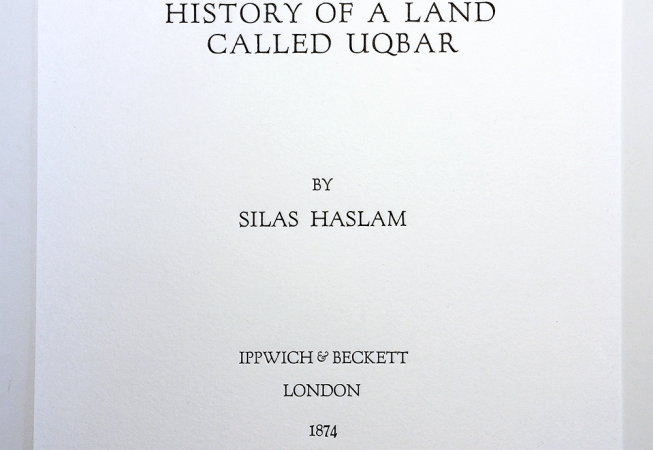 Title page to History of a Land Called Uqbar, a fictional work which Jorge Louis Borges references in his short story, Tlön, Uqbar, Orbis Tertius. 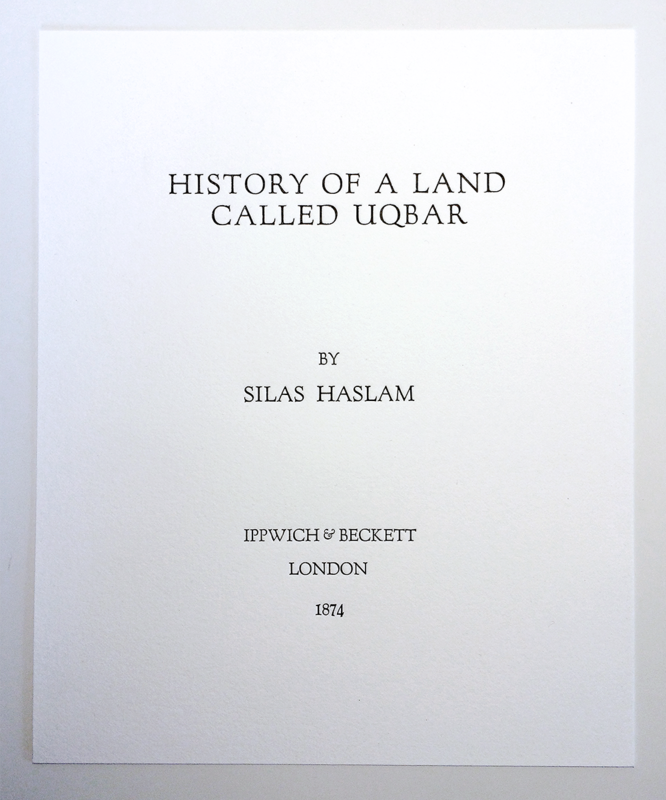 Letterpress printed on Rives BFK. 8 x 10.5 inches. 2012.